Before habitat degradation from impacts like grazing begins to cause population declines, the first response by wildlife usually comes in the form of behavioral changes–for example, switching their diets in response to changes in food availability. A new study from The Condor: Ornithological Applications looks at the diets of seed-eating birds in a South American desert and finds that while some can switch between seed types when grazing alters local plant communities, others continue to stick to old favorites, limiting their options. Luis Marone of the Argentine Arid Zones Research Institute (IADIZA-CONICET) and his colleagues collected soil samples at grazed and ungrazed sites in Argentina's Monte Desert to assess the composition of the seed bank in each area, finding fewer of the large grass seeds that birds prefer in the grazed areas. Flushing the digestive tracts of captured birds revealed that two seed generalists, Common Diuca-Finch and Rufous-collared Sparrow, adjusted their diet accordingly and ate more forb seeds at grazed sites, while grass seed specialists Many-colored Chaco Finch and Ringed Warbling-Finch did not. Studies like this one could enable us to predict which species will be most vulnerable to population declines due to habitat changes, as the inflexible specialist species are more likely to suffer when they can't find enough of their preferred food. "Given that cattle breeders usually sow grass species as fodder, our results should be used for managing cattle stocks with bird conservation in mind by selecting the fodder species that are most consumed by the most specialized seed-eating birds," says Marone. "This kind of management could help prevent reductions of bird abundance in grazed areas." "Although birds in this study were shown to compensate by switching to other seed types, the findings suggest that the capacity of grazed lands to support similar numbers of birds as ungrazed lands may be compromised," according to the Vermont Center for Ecostudies' Rosalind Renfrew, an expert on grassland bird conservation who was not involved in the study. "Grazed lands play a major, essential role in grassland bird conservation in South America, and this important research reveals that specialized birds may be limited by habitat quality. The findings underscore the need for a diverse approach to grassland bird conservation in Argentina that considers quality as well as area." 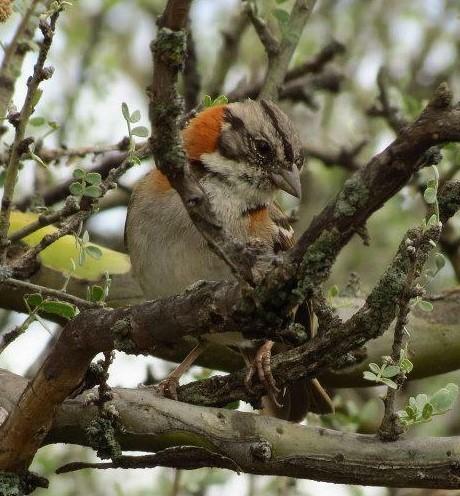 "Diet switching of seed-eating birds wintering in grazed habitats of the central Monte Desert, Argentina" will be available August 30, 2017, at http://www.bioone.org/doi/abs/10.1650/CONDOR-17-61.1 (issue URL http://www.bioone.org/toc/cond/119/4).